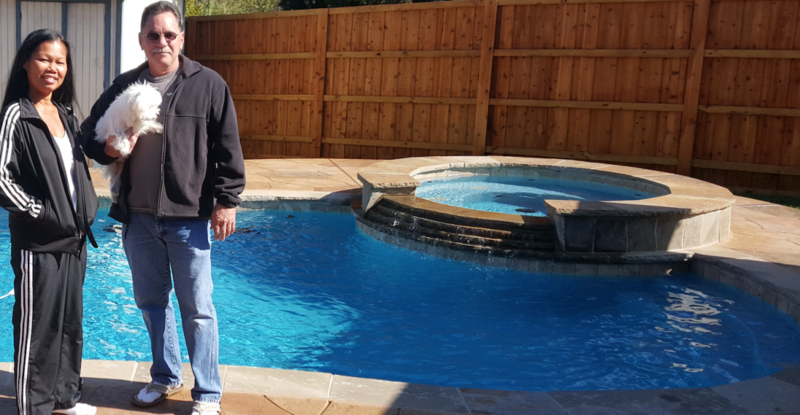 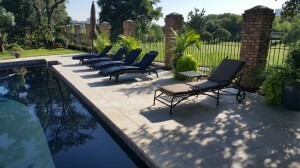 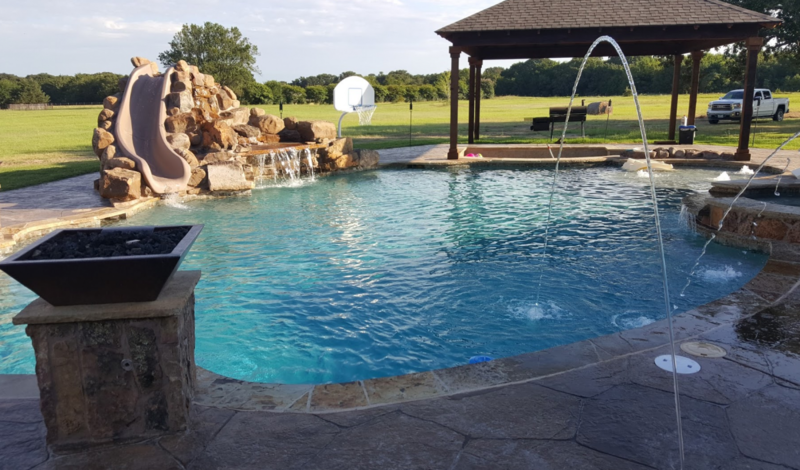 If you are looking to improve your outdoor living area, we’re glad you found Integrity Custom Pools. 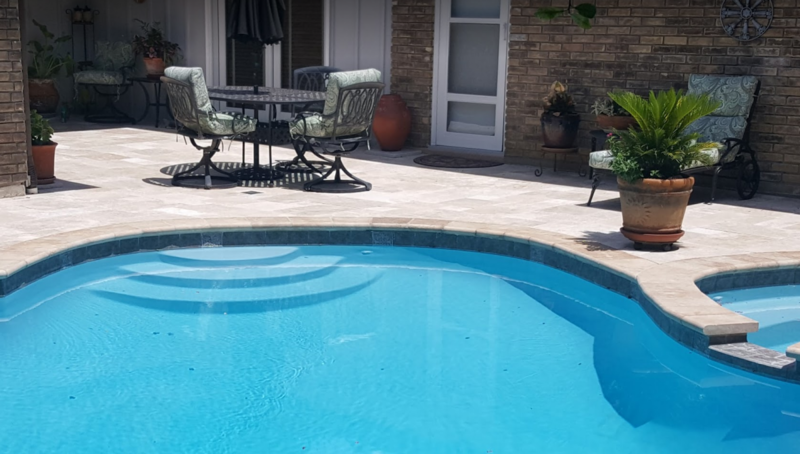 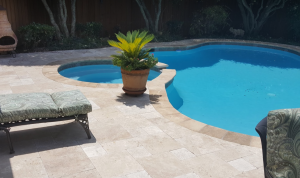 Creating customized back yard living areas is what we do best, whether you are interested in a simple, budget friendly pool, or if you want to make a complete back yard transformation. 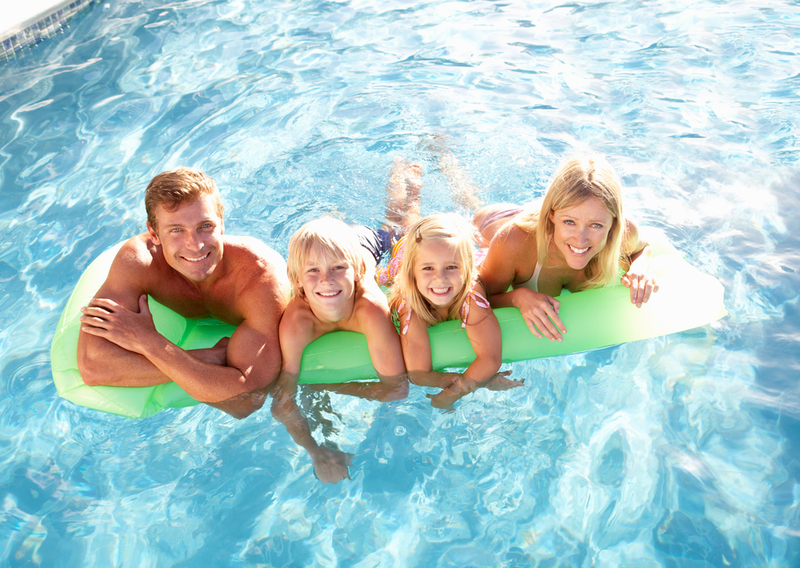 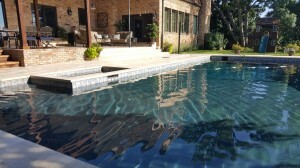 At Integrity Custom Pools, we realize that our customers are looking for more than just a place to cool off. 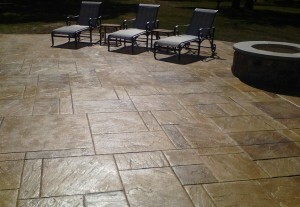 We know that you want to virtually add living space to your home’s exterior. 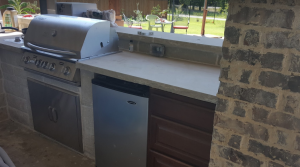 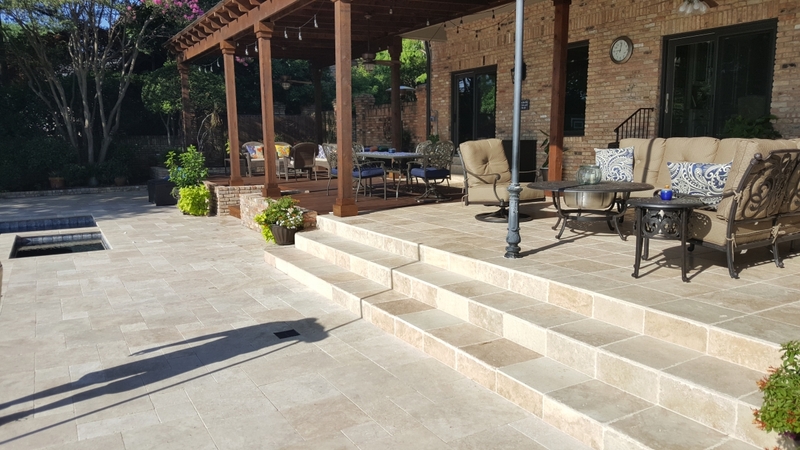 You will be spending so much time in your new outdoor living area, and we want you to thoroughly enjoy that time, whether alone, with your family, or while entertaining a variety of different people at parties and get-togethers. 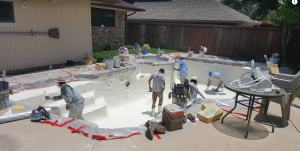 Investing in a new swimming pool is a big decision. 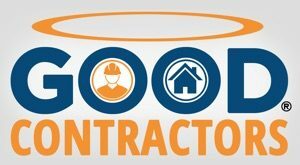 Integrity can help protect that investment with excellence! 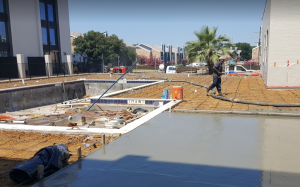 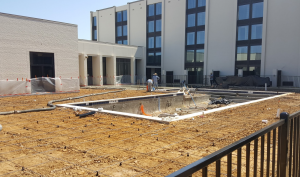 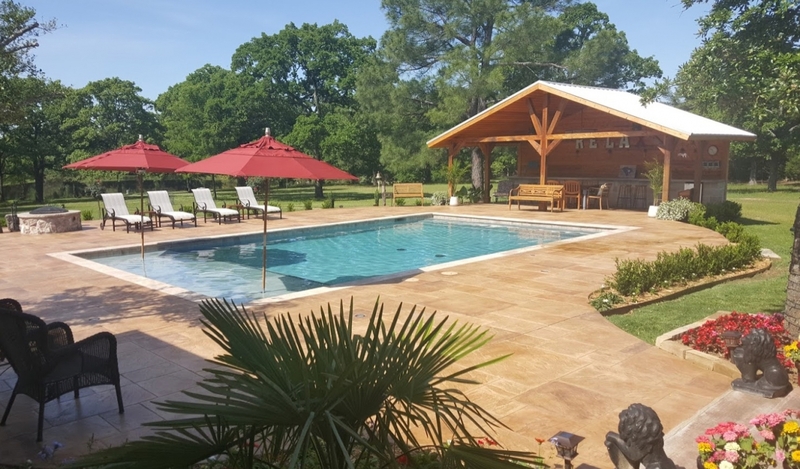 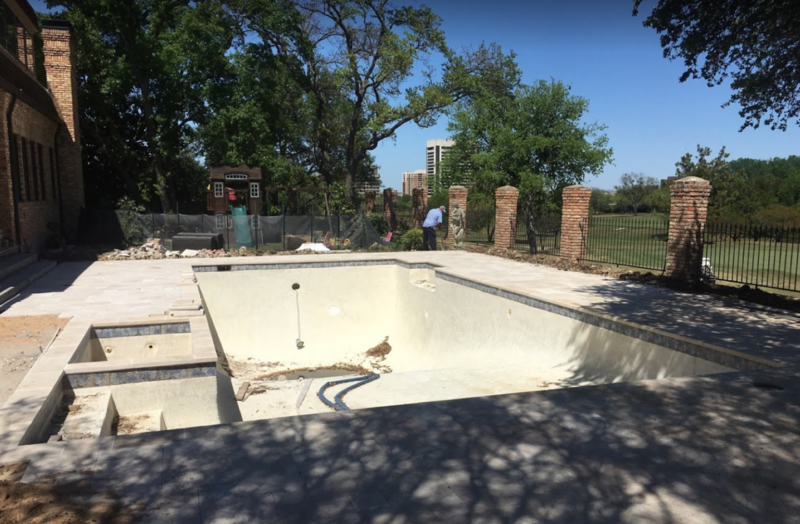 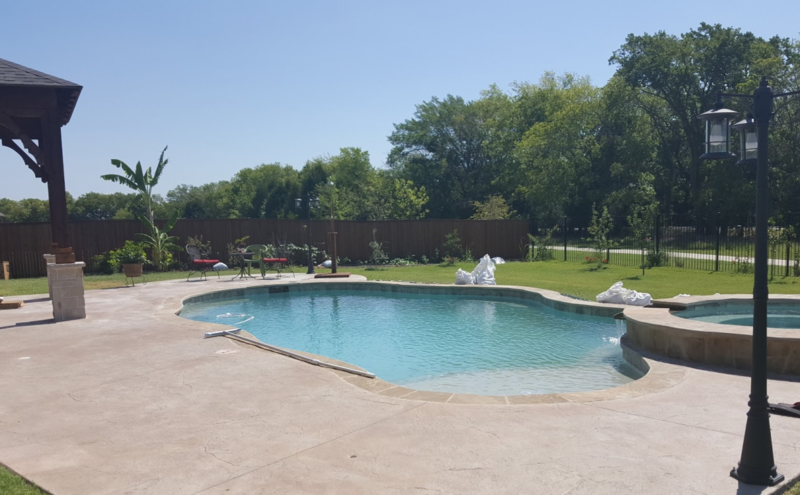 In addition to building the swimming pool of your dreams, we also specialize in building and installing many of the amenities that often go hand-in-hand with an outdoor pool area. 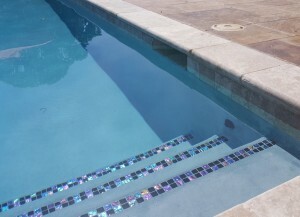 For example: your shimmering swimming pool will be enhanced by a beautiful deck or patio. 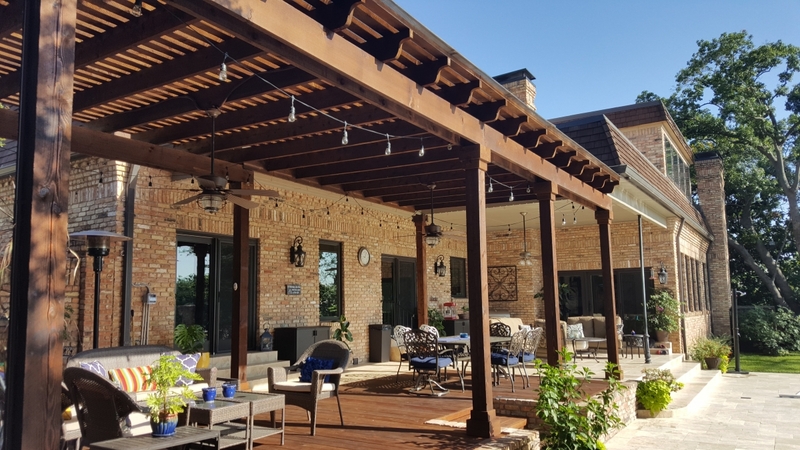 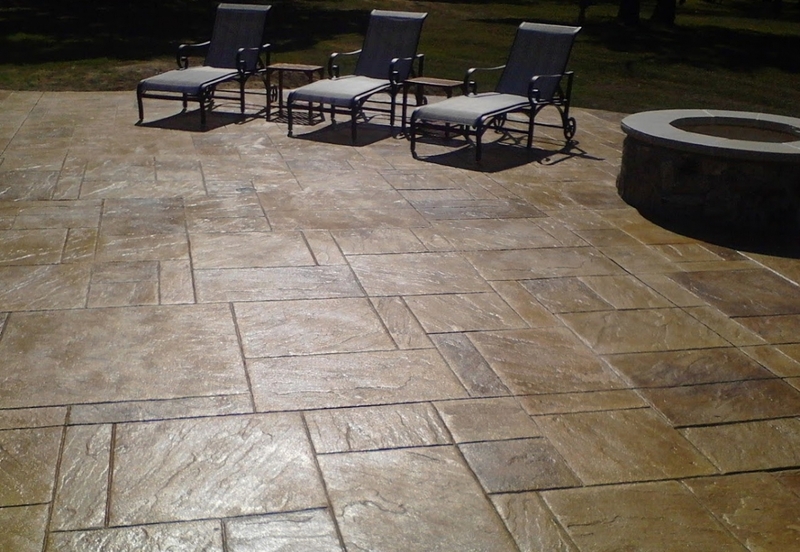 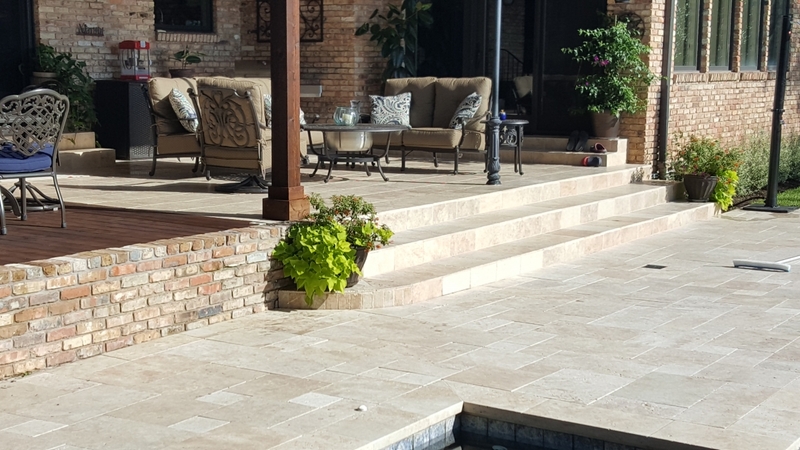 Whether you prefer wood or stone, our team works with a veritable plethora of materials, and we can make your patio look exactly as you picture it in your mind. 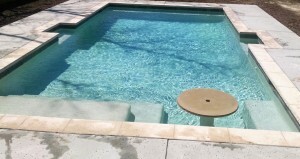 We’ll also enclose your pool for safety, privacy or for aesthetic reasons. 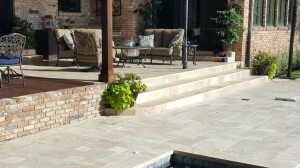 It’s nice to be able to enjoy your outdoor space with a secure feeling of privacy. 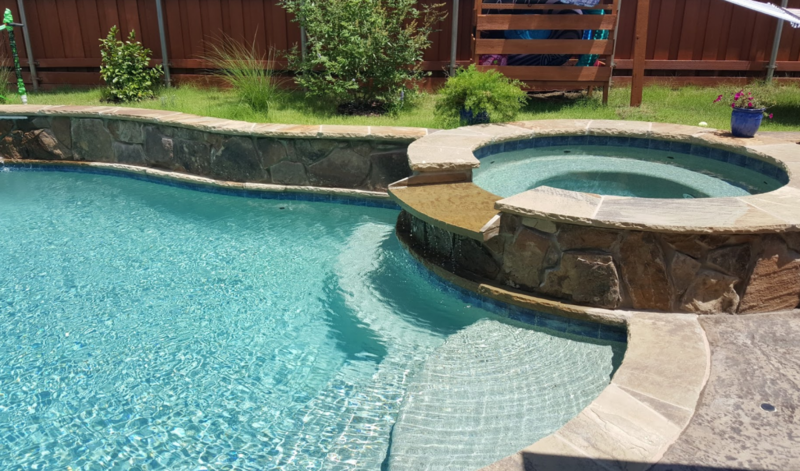 Naturally, safety of any young children in the area is always a concern when a swimming pool is installed, and a security fence will put any of your fears aside. 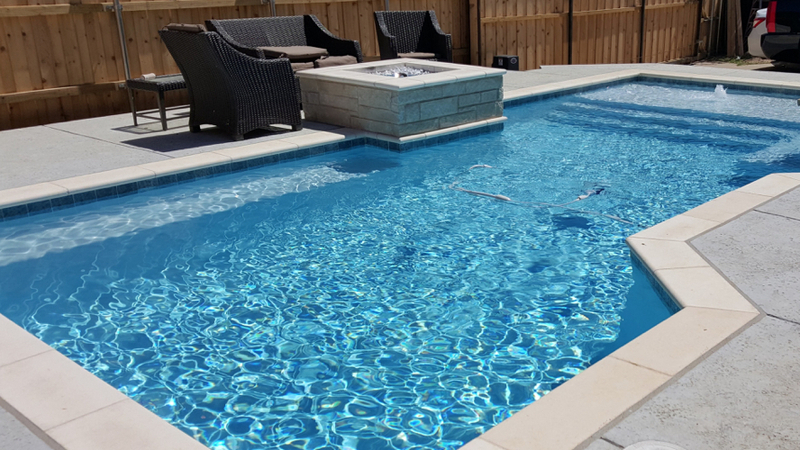 Whether you want a simple, straightforward swimming pool or the most intricate design imaginable, our design team can bring your vision forth into reality. We work with budgets large and small, and you can rest assured that all of our customers get the same special attention – regardless of the size of their wallet. Integrity Custom Pools will transform your back yard, giving it the design you’ve always envisioned. 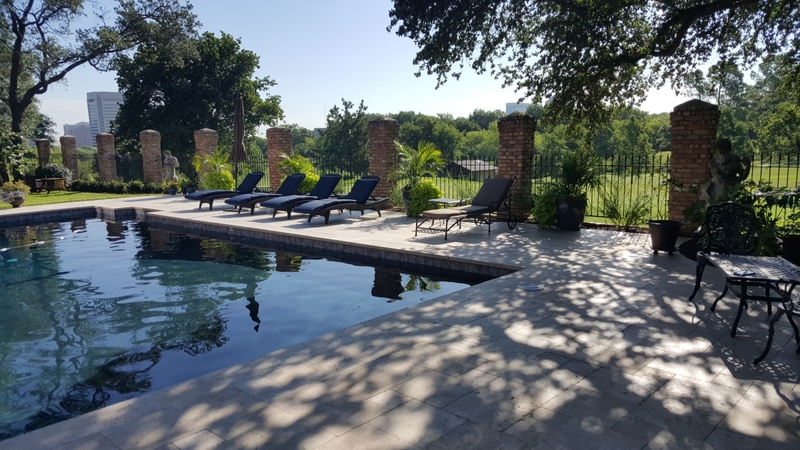 If now is the time for you to finally get that pool you have been dreaming of, look no further – we are excited to get started planning your custom designed outdoor space now. Take a look at our gallery if you need design ideas, or set up a consultation with our design team today. Our customers are Texans, and Texas weather is perfect for extending a home’s living space to its exterior. 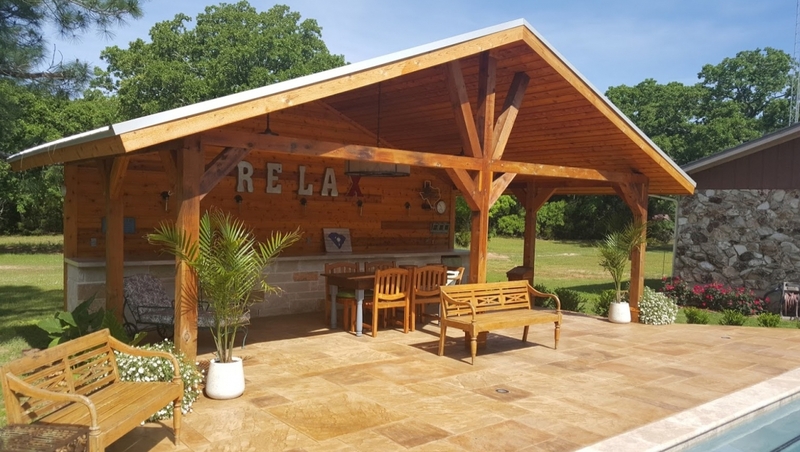 Instead of staying cooped up in your home’s cool air conditioning, why not enjoy the fresh outdoor air without overheating? 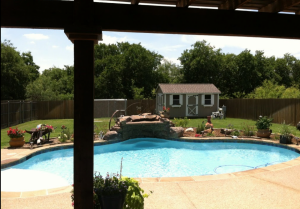 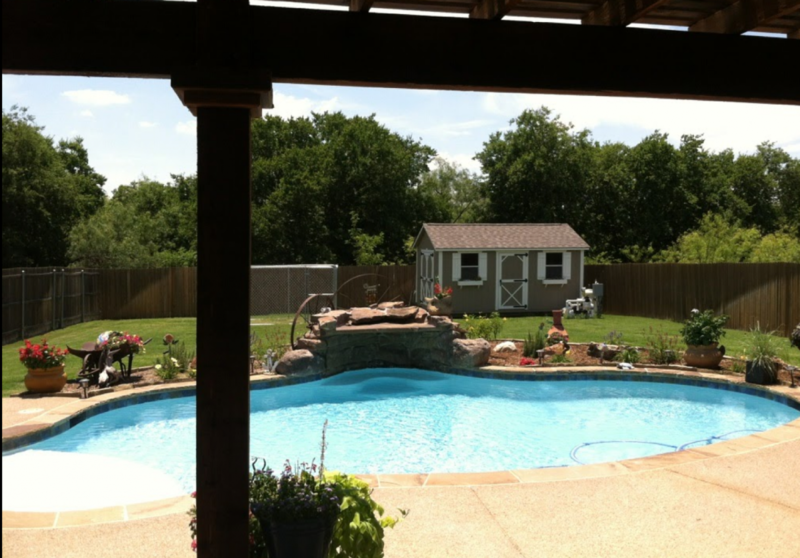 Your custom swimming pool will keep you cool no matter how hot the Texas sun blazes. 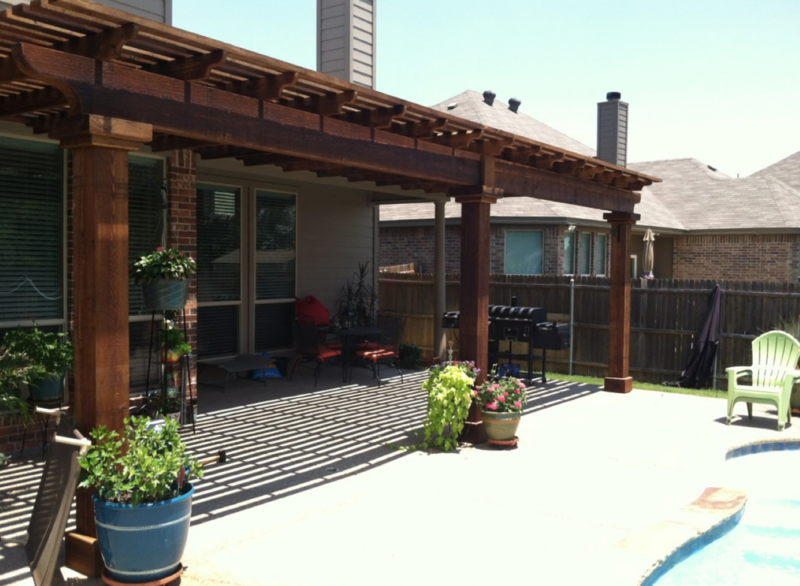 Naturally, it isn’t sunny every day in Texas, and you may want to enjoy your back yard even in the rain! 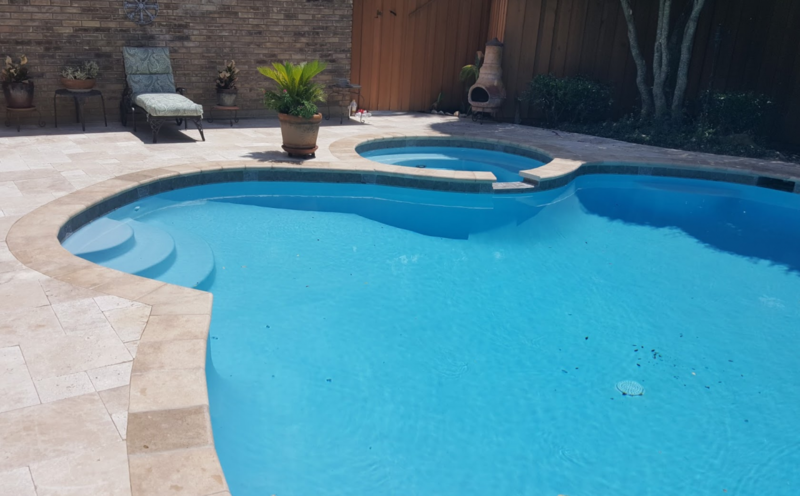 If that sounds like you, Integrity Custom Pools can build you a custom cabana that you can use both on swimming days and on rainy days.